Be in the stands for a historic first when Major League Baseball steps up to the plate in London. The lead-off Major League Baseball series in Europe will take place this summer in London’s Queen Elizabeth Olympic Stadium Park, and a more exciting lineup could not be imagined. 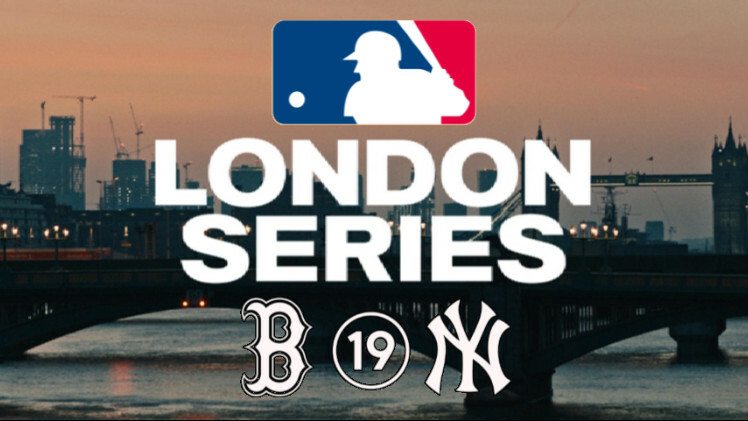 The greatest rivalry in professional sports, between the World Champion Boston Red Sox and their hated arch-rivals the New York Yankees is coming to London! In addition to your tickets to the game, your weekend in London will include an optional orientation tour upon arrival and 2 overnights to explore the city with. In London you can immerse yourself in the world of the royals at the Tower of London, Buckingham Palace, and Windsor Castle. Visit the British Museum, the National Gallery, Victoria and Albert’s, or Madame Tussauds. Snap that perfect panorama picture of Big Ben from the top of the London Eye. Visit the original Hard Rock Café and get a picture crossing Abbey Road, or get in some shopping on Oxford Street or at Harrods. General sale tickets to Major League Baseball in London have already sold out and seating on this travel package is limited. Don’t wait until seventh-inning stretch to reserve your space. Contact Kaiserslautern Outdoor Recreation today! Children 3-11 with 2 paid adults: $599 p.c. Hotel Deadline: Reserve your space before Friday, May 3. Tickets are only available as part of a package. No individual tickets will be sold.